Recent developments in academic scholarship and artistic practices in various fields have seen an increasing interest in the productive and intellectual potential of interpreting history, memory and archive. This preoccupation opened up a wide space of analysis and debate that sees the past not only as a passive “has-been” but rather as a probable “would be” – for better or worse. It is noteworthy that one of the most frequent warnings today regarding the political evolution in certain contexts points to the risk of repeating the past – about making the present an uncritical and blind “Copy-Past.” However, internalizing the significant moments of the past is part of our contemporary cultural construction in which history, memory and archive are the catalysts for some of the most progressive endeavours. The idea synthesized by the phrase “Copy-Past” is, after all, the motor of our cultural system of representation, the source-model conceived and symbolized through—and departing from—the indicators of the past. The conference Copy-Past – Memory, archive, revaluations in cinema, performing arts and visual culture proposes a double articulation of the concept of past: it proposes equally a discourse of history and a discourse on history. That is, on the one hand, it proposes a discussion addressing the historical factuality (and its historiographic understandings) as well as the mechanisms to work, interpret and visualize historical facts and their relevance in contemporary artistic practice and critical thinking. On the other hand, it proposes to reflect on the methodological and theoretical interpretations stemming from and critically departing from various historicist approaches. More precisely, it expects to theorize on the very possibility of historicity: the interpreting solutions addressing the evolution of ideas, methodologies and systems of historical and critical research of artistic creation, in relation to the social and political contexts. Romanian-born writer, semiotician and theater critic. She got a PhD in Theater's Aesthetics at the Bucharest University of Theater and Film in 1999 on a complex historical and aesthetic research on the Romanian modern stage-directing and theater theories, from 1920 to 1960. After 1989, she was involved in several activist and theatrical projects, both in media ethics and theater criticism. She published the first Romanian book on media law and ethics, for young journalists (1997, Bucharest, All Publishing House), followed by The Fourth Power: Ethics and Law for Journalists (Cluj, 2002, Dacia Publishing House). 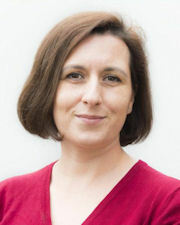 After 2001, she is professor at Babeş-Bolyai University of Cluj, Romania; she was, between 2009 and 2014 the Head of the Doctoral School of the same university. 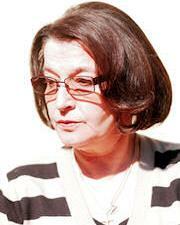 From 2014, she became the Head of the Theatre Department at the Faculty of Theatre and Television, UBB Cluj. Theater criticism, theatre history, theory and audience studies define her area of teaching. 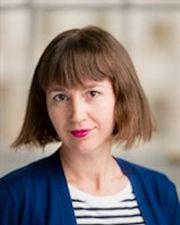 As a researcher, she is interested in theatre history, theatre theory and interdisciplinary studies related to spectatorship in theatre, film and media. In 2004, she starts - together with Romanian playwright and theatre theoretician C.C. Buricea-Mlinarcic - a complex group project, reuniting field research, anthropological analysis and theatre and film creation: the Everyday Life Drama Program. From 2009, the program became the "Everyday Drama Laboratory" of The Theater Research and Creation Center "Vlad Mugur", awarded with several substantial research grants from the Romanian Ministry of Education and Research and from the Ministry of Culture. Horea Avram is Assistant Professor at the Department of Cinema and Media, Babeş-Bolyai University, Cluj-Napoca, Romania. PhD in Art History and Communication Studies from McGill University, Montreal. He researches and writes about new media (art), representation theory and visual culture. His most recent publications include “Augmented Reality” in Encyclopedia of Aesthetics, (Oxford and New York: Oxford University Press, 2014); “The Visual Regime of Augmented Space” in Theorizing Visual Studies: Writing Through the Discipline, James Elkins, ed. (New York: Routledge, 2013). He publishes essays in: Cultura: International Journal of Philosophy of Culture and Axiology, M/C Media and Culture Journal, International Journal of Arts and Technology, Kinephanos, Ekphrasis. Images, Cinema, Theory, Media, Idea. Art + Society, Arta, etc. 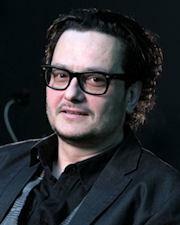 He has curated numerous exhibitions, most notably at Venice Biennale in 1999. Research fellow of the New Europe College Institute for advanced study in the humanities and social sciences, 2017-2018. 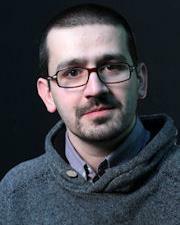 Claudiu Turcuș is Assistant Professor of Literary and Film studies at Babeș-Bolyai University, Cluj-Napoca, Romania. He obtained his PhD in Humanities (2011) at Babeș-Bolyai University after a fellowship research at Bard College, New York. His research interests are focused on East-Central European cinema, literature and criticism. He published widely on topics such as the cultural memory of socialism, the representation of postcommunist transition, intellectual history or the ideology of New Romanian Cinema. His book, Norman Manea. Aesthetics as East Ethics (Frakfurt-New York: Peter Lang, 2016) is the very first monograph about life and oeuvre of this important Romanian-American writer, proposed twice for Nobel Prize. Registration, Panels, Screening: 1, Emmanuel de Martonne St. Cocktail : 6, Universității St.
For further details, see the conference page.